My children are without a father and I am without a husband, wailed Vilimaina Tabua Ruitoka yesterday after receiving the news of her husband’s death in a horrific road crash on the Queens Road. Six people, including Ms Ruitoka’s husband Sanaila Ruitoka, died and more than 10 people were hospitalised yesterday for injuries suffered in a three-vehicle crash on the Queens Road at Nabou, midway between Nadi and Sigatoka. Dead are Tomasi Bulitavu, an ambulance driver at Zen Low Medical Centre in Nadi; Mr Ruitoka, a porter at the Westin Resort Fiji, Atilai Ruitoka, a young farmer and Marika Rua; a Year 10 student of Ratu Navula College, who were all on their way to watch the Powerade Super Deans Rugby semifinals in Suva. The other two dead are the driver of a delivery truck and a passenger. Police confirmed that the minivan was on its way to Suva when it hit a truck that was coming from the opposite lane. Upon the head-on collision the truck landed on its side before a vehicle that was on its way to Sigatoka hit the side of the truck. Police said more than 10 passengers were recovering at the Lautoka Hospital after sustaining serious injuries during the accident. Vilimaina Tabua Ruitoka, 28, of Dakuibeqa, Beqa, said she would now have to raise her three children all by herself. She married Sanaila in 2015 and they lived together at Yavusania Village, Nadi. She recounted her last encounter with her husband yesterday morning. “I normally sleep with youngest daughter in our room and this morning he woke up and came to us and hugged me and kissed me. He ironed my clothes and made my breakfast,” said Mrs Ruitoka who works for Rosie Holidays. They have three daughters Tubou, 3, Liku, 2, and Kasanita, who turns four months next Thursday (August 9). Sanaila had two sisters. Sanaila’s cousin, Atilai Ruitoka, 23, a farmer and a former student of Ratu Navula College, was also in the vehicle and lost his life as well. Their aunt Ivanai Mocemusu said she had been troubled with what she has heard in the day time. “The two cousins have been part of me too. In the morning they came and called me, but I told them I will sleep bit longer since it was Saturday. I did not bid them goodbye,” she said. “Sanaila brought his children over, but I was not too sure that it was a form of farewell. “Atilai was a farmer and would take the lead in getting the children in the village to sleep over and etc. “He would not miss the lotu (church service) on Sundays. He would prepare the food on that day too. “He was so in love with farming, especially the yams he planted, which are now ready for harvest. Ms Mocemusu said Sanaila and Atilai were on their way to cheer on their cousin Sakeasi Saukuru, who featured at first five-eighth for the Ratu Navula College Under-18 team, which bowed out of the semifinal with a 36-5 loss to Ratu Kadavulevu School. Jone Ravui, 56, of Bouwaqa, Vatulele, was looking forward to meet his only child, Marika Rua, 16, a Year 10 student of Ratu Navula College. “In the morning he called me while we were at Sanasana to say he was boarding a minivan to watch his school team play in the Deans,” Mr Ravui said. “He was passionate about two things – the school cadets programme and rugby. He said he wanted to be a soldier, but he has left me. I am speechless. 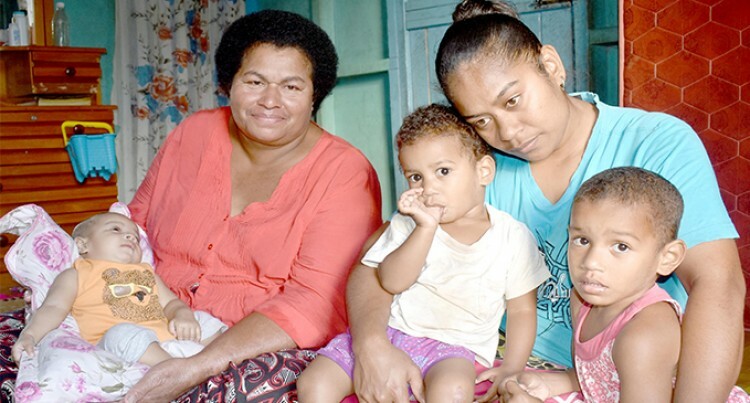 Marika’s mother Tarusila Saukuru, 51, said: “He once told me that he will do better in school and will make us move out of the village style in the islands to something cosy. Pastor Nemani Bulitavu sat in his home with his wife and two children and grandchildren pondering the sad news that was relayed to the family. This is after told his eldest son and minivan driver Tomasi Bulitavu, 34, was among the dead in the road crash. Tomasi Bulitavu left behind his three children, a four-year-old daughter, two-year-old son and a four-month-old son. “We cannot do anything now,” Mr Bulitavu said. Tomasi Bulitavu was from Malake, Saqani, Cakaudrove, and has maternal links to Moala Village, Nadi. Meanwhile, Acting Assistant Commissioner of Police Maretino Qiolevu urged social media users to stop the sharing accident videos and photos. This came about the rush of social media users in sharing the Nabou accident photos and videos. “The victims of the road accident at Nabou this morning had families and it is heartless to be circulating the photos publicly,” he added. He said investigations were ongoing and they had completed the process of notifying family members.